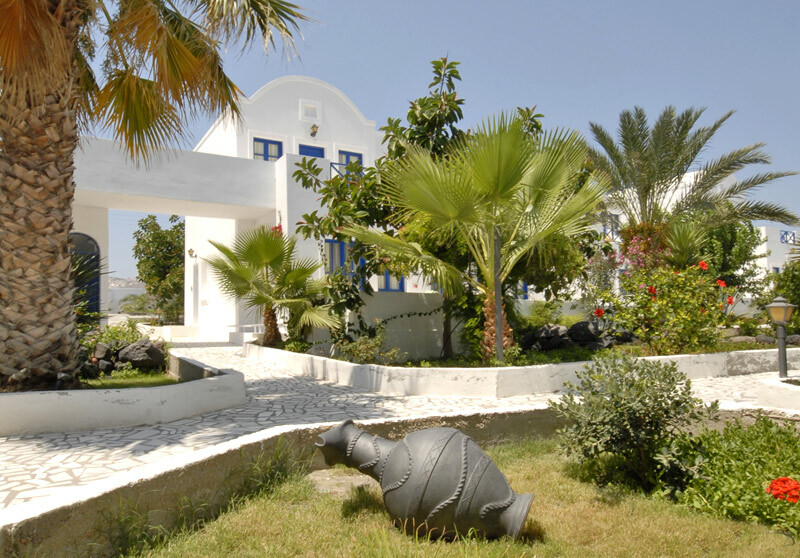 Imperial Med Hotel is situated on the secluded beach of Aghia Paraskevi, on the exotic Greek island of Santorini. Imperial Med Hotel (formerly Dameia Palace Hotel) is an Aegean vision of traditional Cycladic architecture. This luxury all-suite boutique resort of Santorini has been completely renovated and presents a magical blend of elegant white and cool marble amid lush flowered paths and courtyards set against a vivid backdrop of deep blue sky and sea. For discerning guests, the resulting elegance and high-end hospitality offers an unforgettable vacation in the land of myth and sun.